WOKING Borough Council chiefs have secured a deal to take over the country’s largest burial ground. 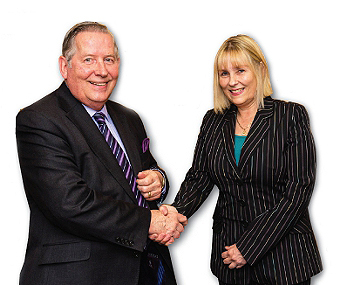 The authority announced on Friday that they have allocated £6 million from their funds to buy shares of, and invest in, Brookwood Cemetery over the next two years or so. Of this, £500,000 will be working capital. They said the acquisition will be at no extra cost to the taxpayer. They bought the site from owner Diane Holliday, who will retain management of the burial business, along with her son Kevin. The commercial terms of the purchase remain confidential. To facilitate the extensive restoration, the council have established Woking Necropolis & Mausoleum Ltd, as a subsidiary within their Thameswey Group, to run as a private concern. Executive Councillor for Planning & Heritage, Graham Cundy, and Deputy Chief Executive, Douglas Spinx, will be directors, along with current Thameswey Chairman Barry Maunders. The 232-acre site off Cemetery Pales is on the English Heritage ‘Top 10 At Risk’ list and, until now, Woking has been one of the few authorities not to own a burial ground. 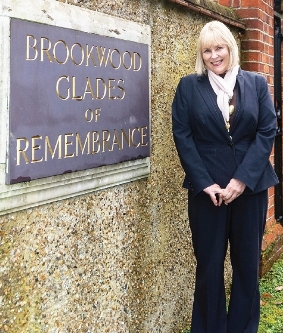 Diane added: “While I am saddened that I needed to sell, I recognised the proposal to acquire the business from me was, for the long term, in the best interests of Brookwood Cemetery. It is part of my heart and I am looking forward to working with the council to ensure its success. Cllr Cundy said: “This is an opportunity for us to restore our structural and environmental heritage as well as provide a burial facility for generations to come. “I look forward to working with our colleagues at the site, English Heritage, and the community in developing the plans. The military cemeteries and memorials remain in the hands of the respective war commissions, who initially took over part of the site in 1917. The Brookwood Cemetery strategy will be reviewed in April 2017 to decide how best to move forward. Mr Morgan added: “You won’t see a major transformation for some time. Meanwhile, the cemetery will continue to run as it is. Availability of burial spaces in the borough is not adequate, so we are expecting to secure more facilities. We hope to see an increase in burials and to generate revenue from the site. The Grade I listed burial site was founded in 1852 by the London Necropolis & National Mausoleum Company and is considered by English Heritage as a site of national significance. Without it, Woking as we know it would not exist. In the more recent history of Brookwood Cemetery, the site passed through a number of hands before Ramadan Güney took ownership in 1985. Latterly, he and Diane, his partner of six years, ran the business until his death in 2006. The site then became the subject of years of dispute over inheritance between Ramadan’s children from his late wife and Diane, who was ‘frozen out’ from the operating company and then dismissed. In 2011, the inheritance of the cemetery was successfully challenged by Diane and her son Kevin. This decision was upheld by the High Court on appeal in 2012. RESIDENTS and undertakers should continue to contact Brookwood Cemetery by email at info@brookwoodcemetery.com or call 01483 472222.